PATC is expanding its hiking program and is in need of hike leaders to lead hikes in our area (Virginia, West Virginia, Maryland, Pennsylvania, and the District of Columbia). If you have a special trail you would like to share or a special talent like photography, geology, botany, history, or other area in which you excel, consider leading a hike or a series of hikes. If you are able to lead a hike, please let us know by emailing the Hikes Committee chair, at hikes@patc.net. We will make sure you get all the information and material you need to lead a hike. Leading a hike for PATC is a great way to familiarize both members and the general public of PATC and the work it does. Thank you and lets go on a hike. Already a Trained Hike Leader and want to lead PATC hikes? Interested in PATC Hike Leader class? 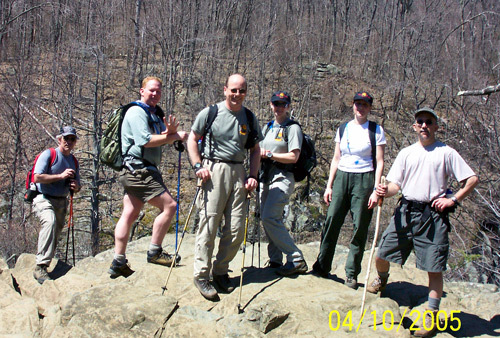 Get more info on the PATC Hike Leader Class.